They are celebrating the 12 days of Christmas and giving you a chance to win one of many great prizes . . .
**Can’t wait? Want to place an order? Mention that you heard about Scribble It from Mommy’s Idea and get a set of 10 mini snowflakes free! Scribble It is a fun and funky vinyl wall art and lettering company. We found a passion two years ago while decorating our house and from that Scribble It was born! Scribble It owners are Cammi Higley and Candi Higley, sisters and sister-in-laws, yes, we married brothers! We were both born and raised in Utah and are raising our own families here. We are a mom-owned, creative and inventive! We have a blog that has fun giveaways, application demonstrations and lists our new designs. It is: http://scribbleitonline.blogspot.com. We love custom orders! So, if you have an idea, just email us at ScribbleIt@msn.com, we’d be happy to design it for you! Also, we aren’t just wall lettering, we do fun decals for nurseries, monograms, custom silhouettes from profile pictures, car decals, designs on tiles, glass cubes and much more! At a time when it’s becoming more and more important to do your part for the environment, we’re all trying to find ways to help. So if you’re tired of always throwing out those plastic sandwich bags, here is a wonderful alternative. Check out Plum Creek Mercantile’s 100% cotton snack and sandwich bags at http://www.Plumcreekmercantile.etsy.com. They even have cotton bulk food bags, perfect for the bulk food bins at the grocery store. 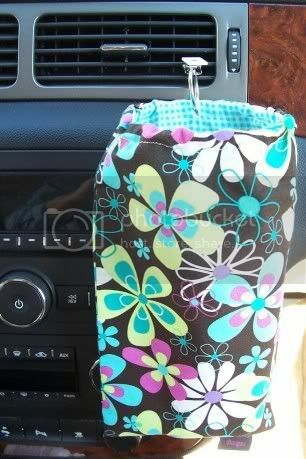 Easy to fill, easy to open and close, and easy to clean- they are machine washable. “The bags are 100% cotton and can be machine washed and dried. Each bag has a strong and secure hook and loop closure, yet easy enough for even the littlest of hands to open.” You might even find a few other things you like while you’re browsing around their etsy store. Check them out at http://www.Plumcreekmercantile.etsy.com. Get 20% off on all sewn items with discount code MI20; the discount will be issued as a paypal refund. Good until 12/31/08. Looking for something fun and useful for bath time? Try Wett Giggles Soap and nail brushes and choose from their adorable characters! You can try Beatrice the Cow in blackberry scent, Hamlet the Frog in watermelon scent, or Ophelia the Duck in lemon scent, just to name a few. Each bar is made one at a time with essential oils and shea butter. I passed around a few of the samples I was given and the kids loved them. One friend’s daughter kept asking, “Mom, when do we get to the brush? !” They smell great and are a good size for little hands. Check them out at http://www.wettgiggles.com/. Holiday special- 20% discount and a flat $4.99 for shipping and handling! These shoes are adorable! Monkey Toes are a collection of playful animal and insect themed footwear. The sneakers are hand-painted in your choice of their cute and original designs. The springy laces on the sneakers make this item even more fun! Check out their “Teaching Toes” too; with two different images to teach children left and right. Check them out at http://www.monkey-toes.com/. Use code “mommysidea08” and get free shipping! Even my mom and dad text me now. We see the new texting lingo everywhere and now it’s available on onesies! Text Message Baby has created adorable onesies with “baby” text messages like, “BFF Mommy + Me” and “CN DBL.” Whether it’s for your Princess or your Little Angel, you’ll find a onesie for that special little someone. It comes packaged in an eco-friendly box and is ready to be given as the perfect gift. Check them out at http://www.textmessagebaby.com and get 15% off with coupon code HOLIDAY! If you’re interested in teaching your child a little Spanish, you’ll want to check out the great products at http://www.bocabeth.com/. Choose from CD’s, DVD’s, puppets, activity books, and language learning sets that give your child a chance to learn another language. The music CD’s have fun, easy to learn songs that teach simple vocabulary in an entertaining way. Check it out at http://www.bocabeth.com/. Use code ’idea’ and get 20% off any Boca Beth CD or DVD and 10% off any language learning set with FREE shipping through the end of the year! Looking for a great way to add a special touch to your home? Need a great gift for the holidays? Scribble It has a big selection of pre-designed quotes, sayings and phrases in various sizes and colors. And if you need something custom made, they do that too! Take a look at their “Monograms” and their unique “Silhouettes” for a personal touch. Their gallery is inspiring and will give you all kinds of ideas as you browse through their products! Looking for a unique gift for a child? Check out Peeka Productions customized books! You get to choose the hair color, eye color, and even hair style of the main character. Your child’s name will be featured throughout the story, with your special dedication in the front. Give the gift of reading and make it even more special with a book from Peeka Stories! Use code idea15 for a 15% discount valid through the end of the year. Need a gift for a blogging friend or relative? Want to say thank you to those bloggers who have helped you out this year? Take a look at Emila’s blog where she offers custom dollies for $2 each! Couple and family dollies are just a bit more. You send her a picture, along with your blog address so she can match colors, and let her know what objects you’d like in the picture. Easy, quick, and a great price! I am always looking for those cute little personal touches to add to a celebration. Pink Poodle Boutique recently sent me some personalized photo confetti to try out. Since a friend was celebrating her son’s first birthday, I e-mailed four pictures, my shape and color choices, and two personal messages. I received the confetti quickly and passed it along for the party. Not only was my friend thrilled with it, showing everyone she could find, but guests at the party were raving about it and asking where she found it. A 2 oz. bag has over 1000 pieces and gives you enough to scatter over 2-4 eight foot tables. What a great idea for celebrations of all kinds- birthdays, anniversaries, weddings, graduations . . .
Go take a look at www.pink-poodle-boutique.com to choose the colors, shapes, messages, and/or photos to make your party or holiday celebration even more special and unique! Get 25% off your entire purchase. Use coupon code: MomPack. Looking for a fun, unique way to make the holidays even more exciting for the kids? Check out Elfing Around to help you create a creative holiday adventure! McDonald’s has launched it’s “One Minute to Move It” program, encouraging kids to find time to have fun and get moving. They have teamed up with Madagascar 2 to offer an exciting new set of Happy Meal toys featuring the Madagascar 2 characters. You should also visit http://www.happymeal.com which is full of ideas for kids to participate in “One Minute to Move It” along with screensavers, coloring pages, and other creative activities. From Mary Dillon, Global Chief Marketing Officer for McDonald's . . .
"One Minute to Move It encourages kids to take the first step -- one minute -- to do something they love like dancing, planting a flower, reading or writing, with the hope that it will provide inspiration for many more minutes to come," said Mary Dillon, Global Chief Marketing Officer, McDonald's. "This 'fun-with-a-purpose' program represents a fresh new approach to our ongoing commitment to children's well-being." 2. Be sure to leave your e-mail if you don't have a blogger ID. Bloggers- you must have a public profile and listed e-mail for me to find you. 2. Become a follower of Mommy's Idea. 3. Blog about and link to this giveaway. Please leave your blog url in your comment. 4. Stumble this post or www.mommysidea.com. 5. 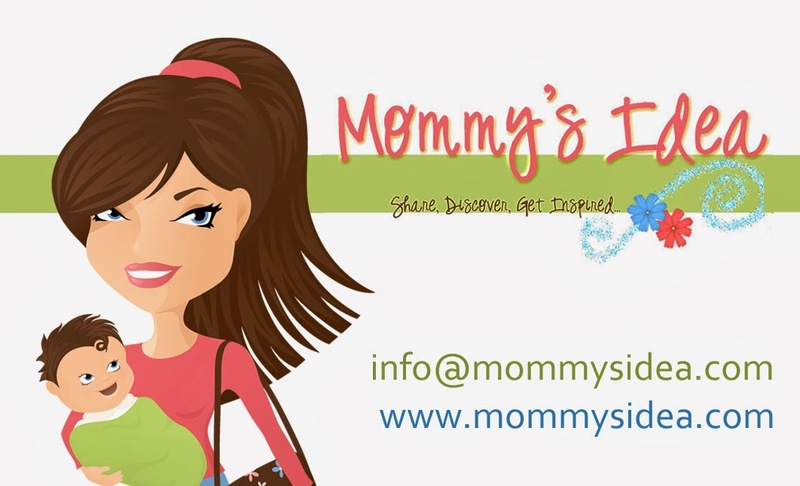 Add our Mommy’s Idea button and/or Ellie Bags button to your site. Contest ends at 11:59 PM EST on Friday, December 5, 2008. Contest ends at 11:59 PM EST on Monday, December 8, 2008. I am a Christian wife, mother, and Nana. I live in Oregon with my husband and youngest daughter Haley (8). We have 3 adult children. We have a granddaughter Madison ( almost 2) and are expecting twin grands in June. www.MyPreciousKid.com My Precious Kid is a child safety & baby gear store in Hillsboro Oregon. We carry over 100 products: child safety, child proofing, ID products, baby sleep, baby feed, breastfeeding, potty training, Radian car seats, Ergo baby carriers, and safe sippys. We have been selling online at www.MyPreciouskId.com for 7 years. In June 2008 we moved to retail space in Hillsboro, Oregon. Yes, I started in 2001 with one product: children’s ID cards. Then we added wearable ID products for children: ID bracelets, shoe tags, and more. We started with one product that we created. Then we added a full line of ID kits for kids. Over time we added many other products. Many of them are mom created as well. Our passion is child safety and educating parents. Car seat safety is one of my areas of concern. Too many parents move their children out of a 5 point harness before age 4 and 40 pounds which is not safe. And too many parents leave their babies in the infant carrier past its weight/height limit (usually 26” and 20 pounds) which is not safe. I teach an online potty training class for parents.